If truffles intimidate you, be intimidated no more. 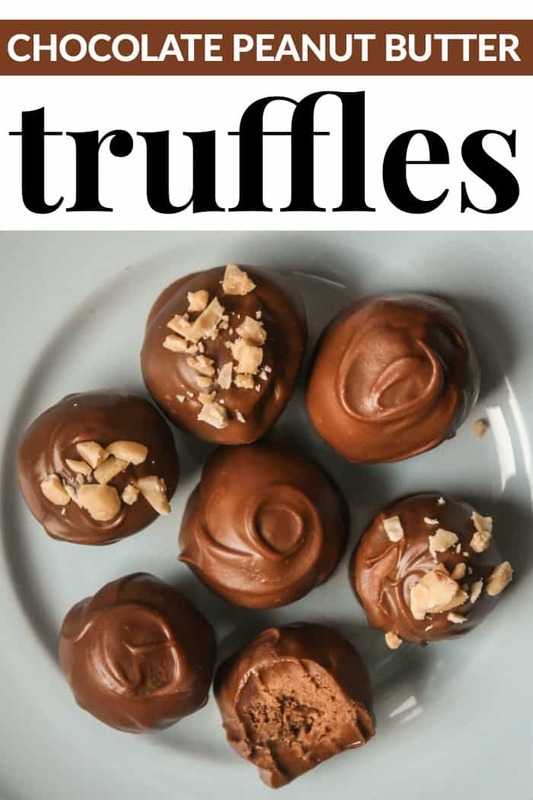 This recipe makes beautiful truffles and it is so simple to make. 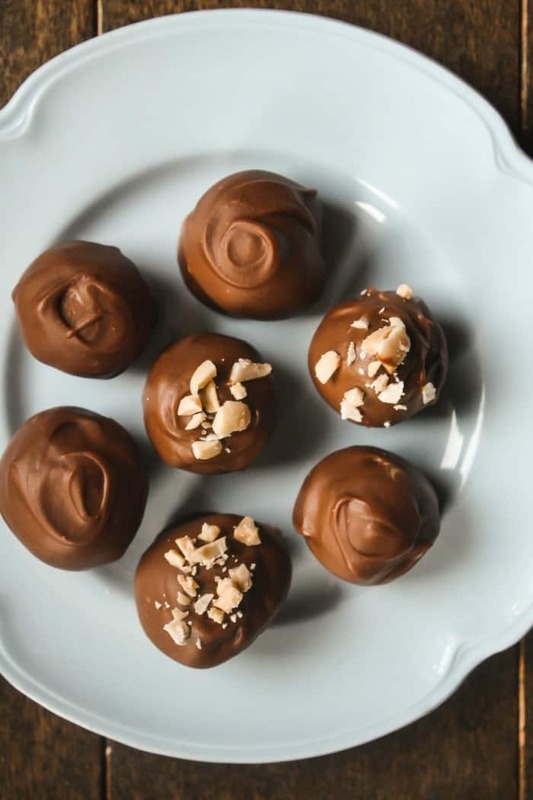 I used to be scared of making truffles simple because they look so fancy, but these little guys are actually remarkably easy to make and you feel so accomplished at the end knowing you made something pretty and yummy! This is one of those microwave recipes that hardly counts as baking but impresses your guests every time. First, you just microwave your chocolate and peanut butter chips together and then let it cool down. Don’t rush this and mix in the cool whip too early. After your chocolate has cooled down to lukewarm mix in your cool whip. At this point, I normally put the bowl into the freezer and wait a bit until the mixture has firmed up enough for me to form it into balls. I do this simply to speed up the firming stage so I can go ahead and do the next step. However, if you are going to take a nap and then come back to your truffles, don’t put it in the freezer. If you do when you come back your truffle mixture will be hard as rock and you won’t be able to roll it into a ball. If this is the case just place it in the fridge until you are ready to go on to the rolling stage. Now for the chocolate dunking, I don’t have any fancy utensils, I simply use two spoons to dip the chocolate balls with. 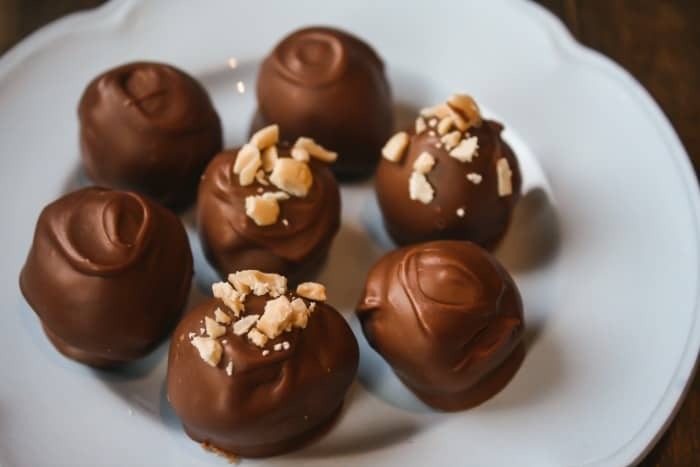 I often give them a little swirl with my spoon after placing the truffles on the parchment to make them look nice, but if the tops look strange just cover them up with some crushed peanuts and no one will ask any questions. 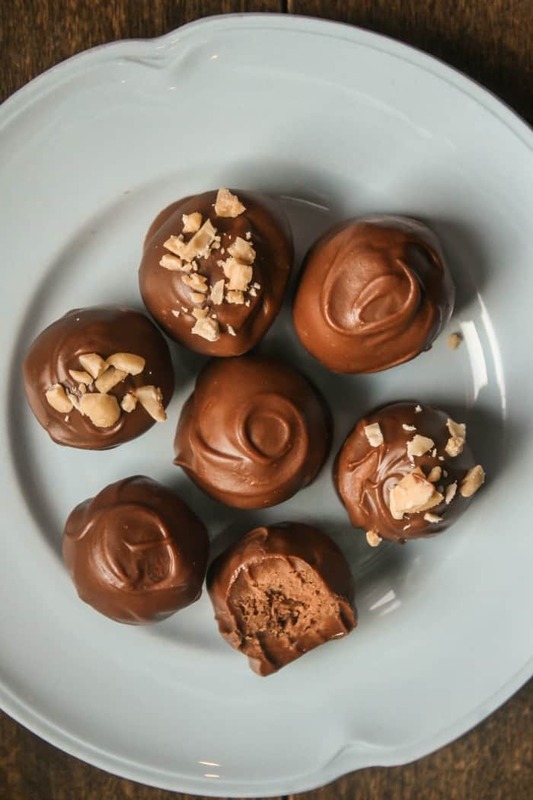 Go ahead and try these simple chocolate peanut butter truffles that are sure to impress anyone. 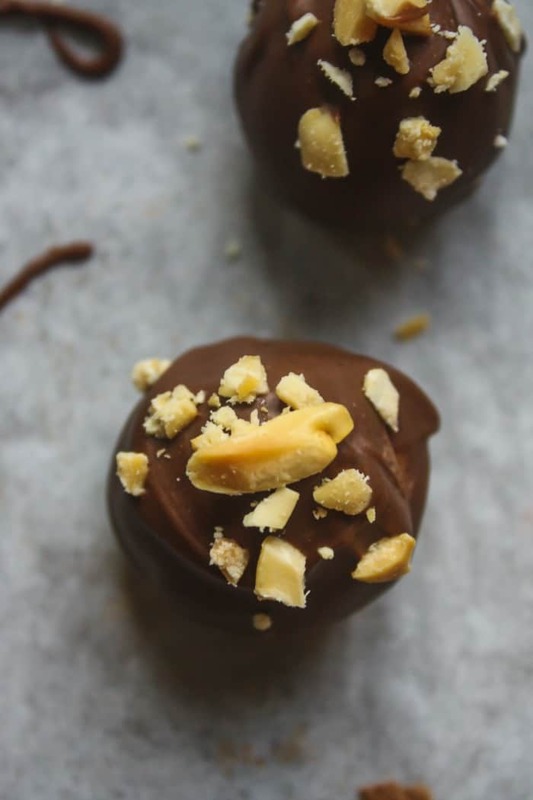 Decadent bit sized truffles that only use four ingredients! First, melt the peanut butter and chocolate chips in the microwave. Allow it to cool until lukewarm (about 7 minutes). Mix in the cool whip and place in the freezer for 15 minutes or until firm enough to form into balls. Shape into 1 inch balls with your hands. Melt chocolate chips and peanut butter in the microwave. Dip the balls into the chocolate and place on a baking sheet that is lined with parchment paper. Sprinkle with crushed peanuts if desired and then refrigerate until firm. I’m Megan. I love to bake! 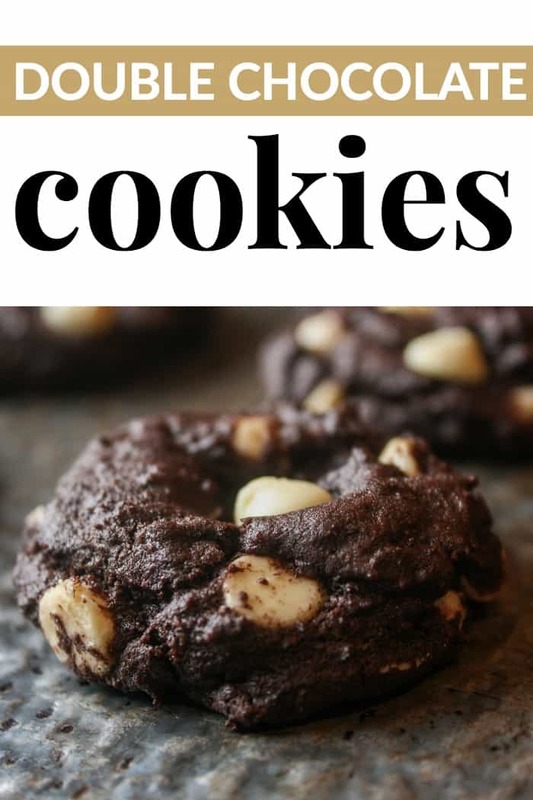 I am a 19-year old student in my second year of Bible college, and after this year I plan on going through a baking and pastries program to learn more about baking. One day I hope to work for a bakery or maybe even own my own bakery! For now, I love baking for friends and family and we’ll see where God takes me in the future. If you want to see more baking check out my Instagram @baking.memories. These are so good and we make them every year for Christmas! !